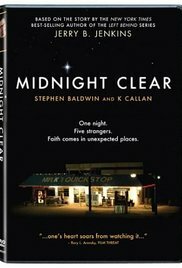 MIdnight Clear, made in 2006, was based on short story by written by Jerry Jenkins, the co-writer of the Left Behind series. (We previously reviewed the Nick Cage film version of Left Behind.) The film was directed by Jerry’s son, Dallas, and was a production of the family company, Jenkins Entertainment. The feature film was based on a short film from Jenkins as well. The story takes place on Christmas Eve, and there are a number of intertwining stories that sort of, but not quite, all come together. 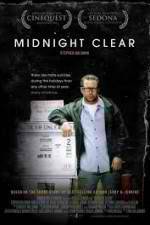 There is a man, Lefty (Stephen Baldwin), who loses his job, threatening his chance to have custody of his children. There is an old, poor woman named Eva (K Callan) contemplating suicide. A woman and her child, still suffering the consequences of an accident that took place a year ago, are stranded at a gas station with car problems. And a youth pastor takes his high school students Christmas caroling. But as we do here at Movie Churches, we’ll just be focusing on the pastor (Richard Fancy as Pastor Mark), youth pastor (Mitchell Jarvis as Mitch), and their church. 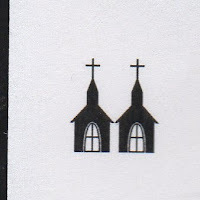 So, about the church. They do seem to fill up pretty well for the 10:45 PM service on Christmas Eve, but if a church doesn’t have people in church on Christmas Eve… Anyway, the church does seem to have a nice building with stained glass and choir robes. On to the clergy. The senior pastor assigns the youth pastor the task of taking the high schoolers Christmas caroling to shut-ins on Christmas Eve. The pastor gives the youth pastor cards to hand out at each stop, along with an envelope containing a $20 bill. The youth are also instructed to invite the shut-ins to come to the 10:45 pm service, offering them a ride to the church. I see all kinds of problems with this plan (which I will explain in a moment), but MItch’s objection to the plan is that caroling is dorky. Pastor Mark responds that “Not everything the kids do has to be cool or hip, sometimes they just need to do ministry.” I think Pastor Mark is, for the most part, right about that. 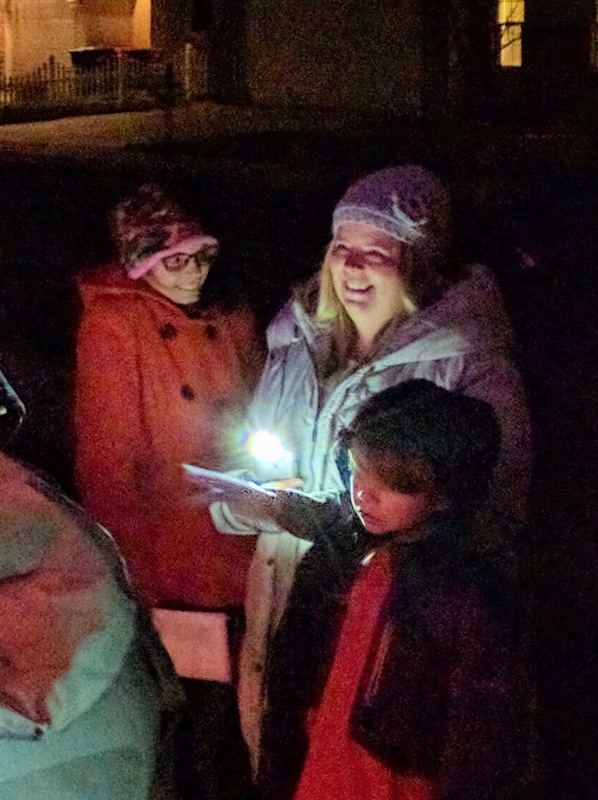 I went caroling with a church last week, and it was kind of awesome. But here are some of the problems with the plan. First of all, Christmas Eve is a time when most American families spend time together. Relatives from out of town arrive; wonderful food is made and shared. Why would a church ask teens to spend those family hours out caroling, then hanging out at church until the worship service? Another problem: the youth pastor talks about the shut-ins they’re going to visit as if they’re aliens. Mitch jokes with the students, “Old people are still people. I’m not sure that’s true, but I’ll look it up on the internet.” Sure, it’s a joke, but a pretty bad one. Try inserting “black” or “white” in place of “old” and you begin to see how sad it is. One of the great things I’ve observed about good churches is that they provide a chance for young people to spend time with old people, and if it isn’t happening at this Movie Church, that’s really too bad. To continue with problems I see in this movie church, what’s with the $20 gift in the envelopes? Of course, some shut-ins are poor and some are well to do, but cash really the best way to show love and caring on Christmas Eve? We do need to note that when the kids go caroling with the youth pastor, the youth pastor does all the talking with the old people, which pretty much consists of offering them a ride to church that night. In my experience, most elderly people want to interact with kids, and it would probably be good for the kids to interact with the older people. It’s hard to believe that all the shut-ins the kids visit would be home alone on Christmas Eve, probably the one time when even the worst of grown children and relatives make an effort to spend time with shut-ins, even if it’s only out of guilt. And why, of all times, invite elderly shut-ins to a service which will run past midnight on a very cold night? There are health concerns here. Why not offer rides for Sunday mornings in the future? Still, the thing that most bothered me about Mitch and Pastor Mark’s approach to ministry was that they seemed to view the caroling outing a failure because none of the shut-ins agreed to go to church. When Pastor Mark asks how caroling went, Mitch says “0 for 7.” So ministry doesn’t seem to be about caring for people and helping them where they are, it seems to be all about getting people into the church building. 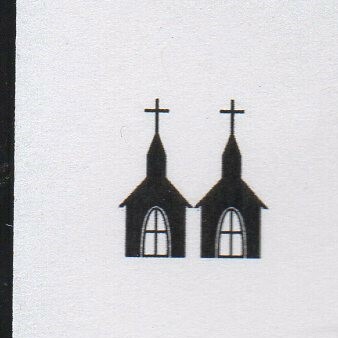 The climax of the film occurs when Lefty brings Eva to church. Mitch knows none of the backstory for the characters, but finds solace in that one of the shut-ins came to church so he didn’t waste his Christmas Eve. Hey, I’m all for going to church. I plan on going to church Christmas Eve and Christmas Day this year. But I’m also all for spending Christmas with family --and even more for spending it with Jesus, which also doesn’t get a lot of notice in this Christmas film. So I’m giving this Movie Church two steeples; because it’s Christmas.